Whether you want to lose weight, gain muscle or increase your endurance, it's important to tailor your workout to fit your goals. That seems obvious, but almost everyone who starts working out eventually finds their enthusiasm waning as their goals get further and further away. One way to avoid giving up on exercise is to make sure your goals are realistic and that you have a specific plan to reach them. Repeatedly failing to stick to your goals means that either your goal is out of reach or that you haven't quite figured out what to do to reach it. It helps to have a clear idea of what you want and the basics for what's involved in getting it. Losing fat is probably the most common goal these days and, at it's simplest, involves burning more calories than you eat. If you burn an extra 500 calories per day, you would lose about a pound a week. You can't choose where you lose fat--Spot training doesn't work because your body draws energy from the entire body when you exercise, not just from the area you're exercising. While weight loss is a common goal, there are plenty of people who have trouble keeping the weight on. In this case, your goal might be gaining muscle which, believe it or not, can be just as difficult as losing weight. Gaining muscle, like losing weight, requires careful attention to your workout and your diet with a focus on eating more calories than you're burning and lifting heavy weights. If you lift weights, you can build muscle but if you want to put on some serious size, that requires serious work, extra calories, and commitment. Training for a race or a sport often requires a different approach than if your goal were to lose weight or gain muscle. Your main focus should be on whatever you're training for. If you want to run a marathon, the bulk of your training will involve running. If you want to be better at basketball, your training will lean towards high-intensity jumps, lateral movement and, of course, playing basketball. Whatever you're training for, you'll usually want to include cross-training. For example, you might lift weights to keep your body strong for running or cross-train with other activities to use your body in a different way and avoid injury. Being healthy is probably the simplest goal to reach since there are tons of things you could do right this second to be healthy. Drink some water, eat fruit, take a walk, etc. Even a few minutes of exercise has a number of health benefits, some you experience instantly and some that may come over time. 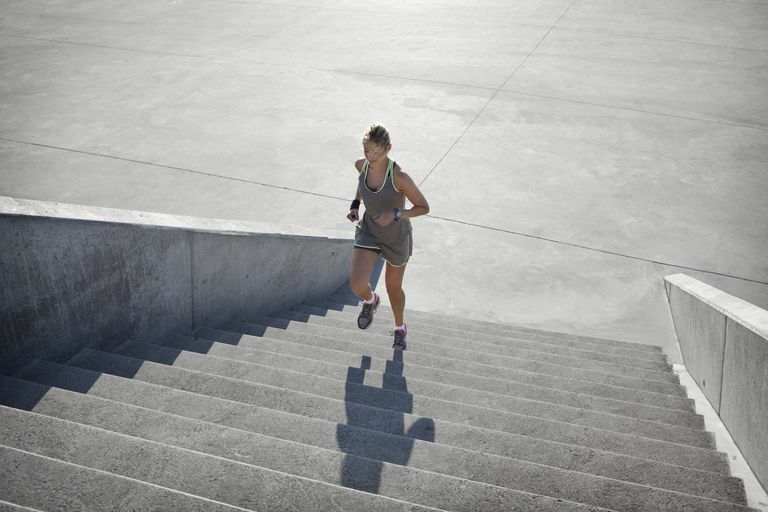 Determine how many calories you burn during daily activity. Add #1 and #2 to get your total calories, i.e. how many calories you need each day to maintain your current weight. Reduce that amount by about 250 to 500 calories, but avoid going lower than about 1200 calories (depending on your height) so you don't end up starving your body. Record how many calories you eat and how many you burn each day. If that number is higher than your total calories, you know you need to reduce the calories you're eating and/or increase your exercise to create a calorie deficit. To lose a pound, you have to burn approximately 3500 calories. If you burn a total of 500 calories with exercise AND diet each day, you'll lose a pound in about 7 days. If you're eating more calories than you're burning, you need to either workout more, eat less or a combination of the two. Example: If my BMR is 1500 calories and I burn 500 calories while exercising, I need 2000 calories to maintain my current weight. To lose a pound a week, I'll need to eat about 1500 calories a day and burn 500 calories a day with cardio and weight training. Eating a balanced diet means getting all the nutrients you need so that you feel good all day and you have enough fuel for your workouts. Stay hydrated. Thirst sometimes presents itself as hunger pains. A complete workout includes strength training, cardiovascular exercise and flexibility exercises. If you're hungry throughout the day, you're either not eating enough or your meals aren't satisfying you. A combination of carbs, protein, and fat will help you feel full for a longer period of time. 1. Make an appointment with your doctor to get the okay to start exercising. Give yourself plenty of recovery days so you don't burn out. Stretch every single day. Don't argue...just do it. Be active. Don't sit at your computer all day long in a word processing coma. Stand up and walk around every 30 minutes. Hire a personal trainer if you don't have a clue what you're doing or if you have a chronic injury/condition. Drink water all day long. Don't argue...just do it. Eat some fruit and vegetables. Eat them often. Savor them. Don't argue...just do it. Reward yourself for a job well done with new clothes, a massage or a night out on the town. Be proud of yourself for being so darned healthy. Is the Set Point Theory a Fact or a Myth?